We just arrived at the hospital and are waiting… surgery begins at 10, but I’ll be here with pre-surgery things until then. I wanted to share a few pictures and verses that I’ve been reading since I found out about my diagnosis. Here is our sweet toddler showing us his “muscles” before we dropped him off with the grandparents yesterday. 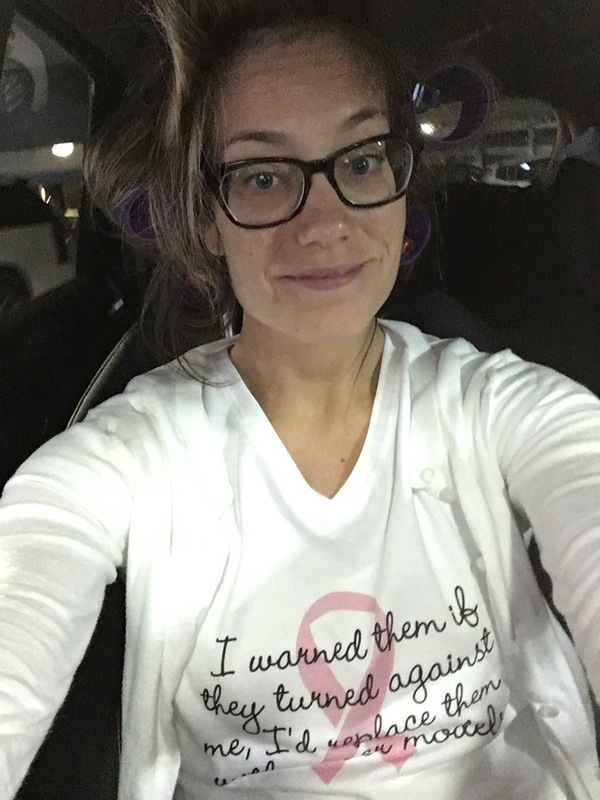 I took and shower and put curlers in my hair this morning… makes the most sense since I won’t be able to shower for awhile, surely I’m not the only one?!? The higher the hair the closer to God is the saying… I’ll take it! 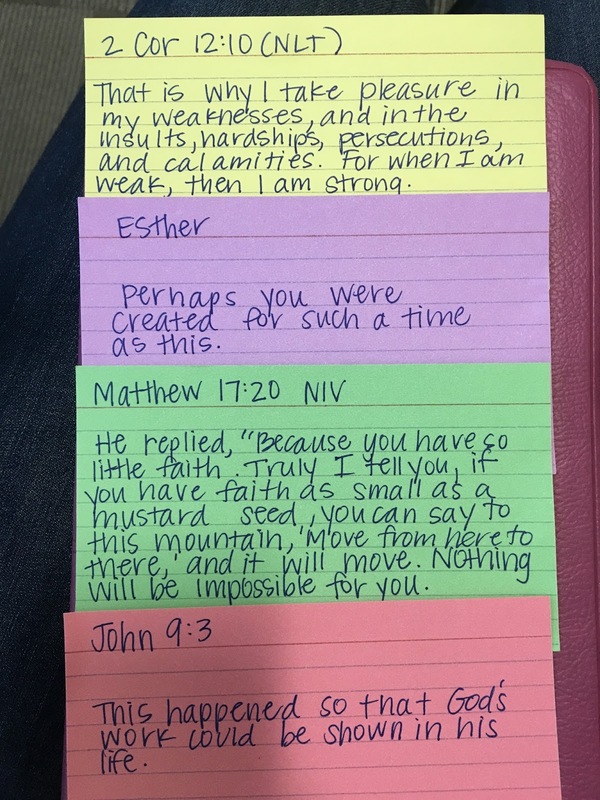 A few of the verses I’ve been reading and memorizing (I had more pictures but they didn’t download)… ever heard of Beth Moore’s SSMT? Look it up… click here if you want. I love Beth Moore, she’s a pretty amazing lady who loves the Lord so very much. My best friend gave me this t-shirt so I wore it to surgery, seemed most appropriate! Pre-surgery – I was most worried about anesthesia but was completely calmed when I got to talk to the nurse anesthetist and the anesthesiologist. They were great! 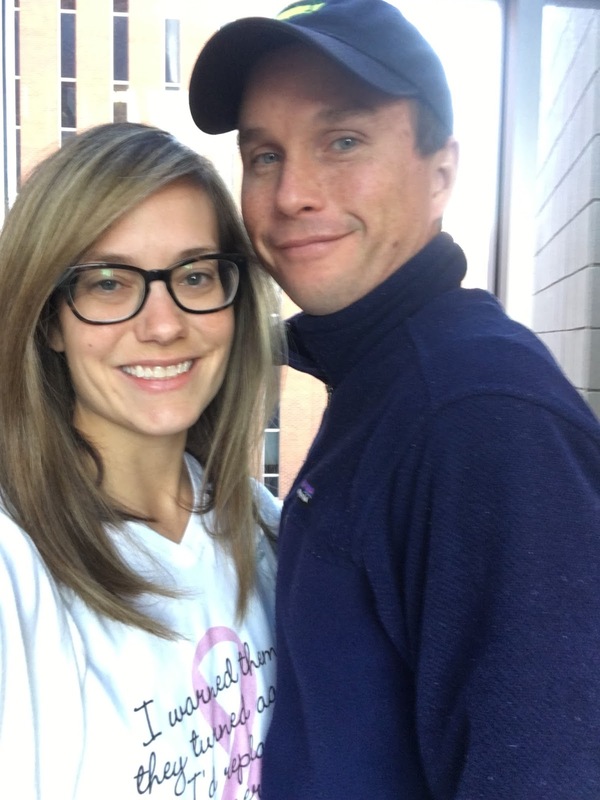 My friend is a nurse anesthetist who lives in Greenville, but she just happened to be in town this past week for a mutual friend’s baby shower and was able to explain EVERYTHING to me – truly shows how God is in even the very smallest of details to comfort me. Then, even something better happened. I was super anxious going back to the OR so the nurse asked if I wanted to listen to music – OF COURSE I DO!! 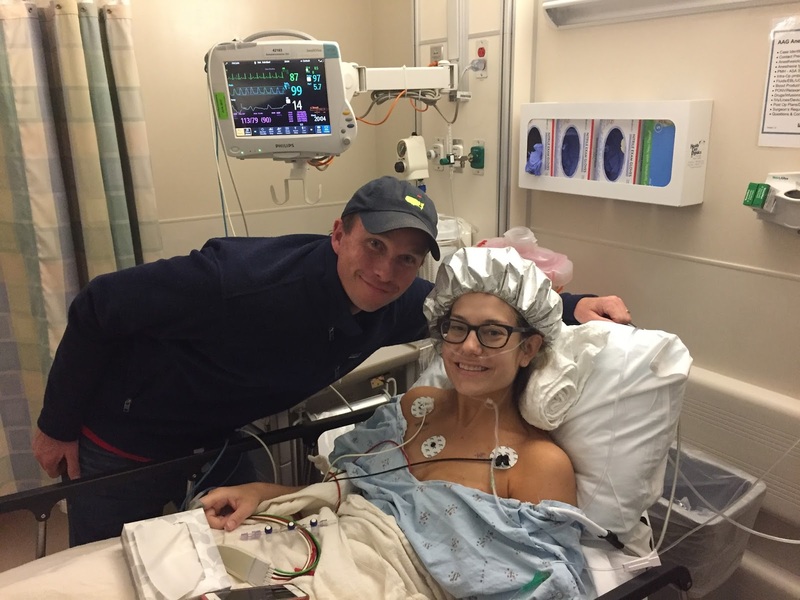 Passion: You are Worthy was my pick… next thing I knew I was waking up in post-op recovery! Post-op recovery, still with that beautiful aluminum foil cap! Unfortun ately we were in post-op for almost 8 hours because they did not have any rooms available which was not fun because my husband, dad, grandmother, and uncle were all in the waiting room unable to visit. Thankfully, they let them come back for a few minutes here and there to visit so that was nice. The nurses were so very nice, I slept a lot and they managed my pain very well. After about hour 7 (11:00pm), they finally let Steven come back and stay with me. I like to be prepared… if you ask people closest to me they will tell you I have to know all the details, I have to plan, I have to feel like I have everything figured out. When I got pregnant with John I decided (after some convincing from close friends) that I wanted to have a natural, intervention free birth. So, I dove in head first and read everything I could about having a natural birth, went to childbirth classes with Steven and meet the midwife meetings. It was a fun experience and it took Steven awhile to warm up to the idea, but I think when he saw that my mind was made up about this he decided to get on board too. Someone wrote in an email to me about a week ago that this is something I do, learn everything I can about what I am passionate about and go for it! I just like to be prepared, maybe I feel like I have more control, I don’t know, but it does make me feel less worried. Well. YALL – the ONE thing I didn’t plan for was my hair. Why in the world did I not teach Steven how to pull my hair back in a SIMPLE ponytail?!? I can’t lift my arms that high now and I do not know why I didn’t think to teach him how to do it. Bless it. He has been so great helping me with everything, but thankfully most nurses are women so I’ve had a pretty good ponytail in the hospital. I think we’ll watch a youtube video or two before we get home. Who knows, maybe by the end of this he’ll have a good topknot or side braid mastered. Next Post Post-Surgery: The Good, the Bad, the Ugly.